Custom Options. Guaranteed Quality. Unmatched Service. Bennett Industries is proud to offer multiple services within the Metal Worx realm. We focus but are not limited to custom fabrication, metal sales, small and large-scale productions, CNC cutting, precision machining, and stamping. We are pleased to offer the option to purchase raw materials on site. Alloys include stainless steel, aluminum, and carbon steel. Each alloy is available in multiple forms, including but not limited to, structural, shapes, sheets, and platting. Custom orders are available and allow us to ensure an outlet for purchasing metal material. We offer services which enable us to take complex products from prototypes through full production. We specialize in turning and milling. We are pleased to offer the capability to set up mass production lines when requested. With the ability to set up machinery specifically for your needs, we are able to offer repeated, consistent products continuously. Bennett Industries is pleased to offer the machining and tooling capabilities to run productions to fit all needs, including those which may be smaller in quantity than required by other manufactures. With multiple product lines, we can ensure small scale productions receive just as much attention and care as our large-scale options. Custom fabrication has always been a stable for Bennett Industires. 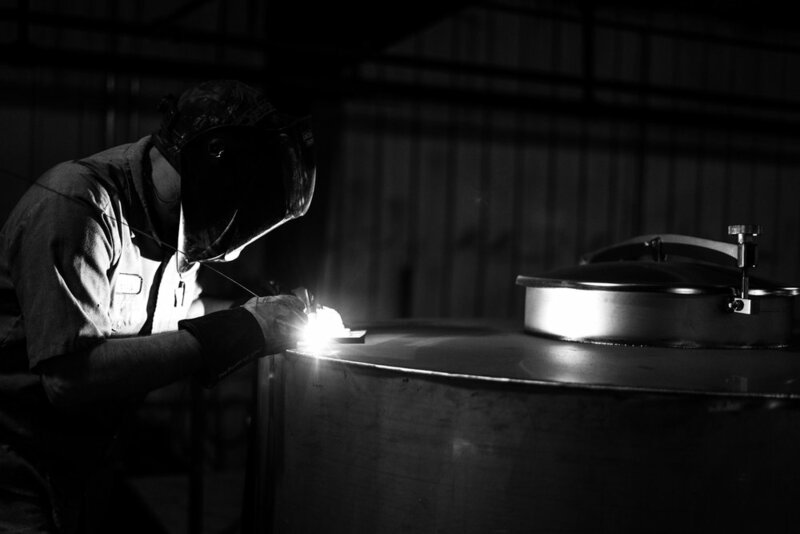 From the planning stages to complete production we are able to cover all realms of the fabrication process, while ensuring timely and quality outcomes. We are happy to offer services for both plasma and laser cutting. We offer options to encompass custom stamping request from small to large. Our mechanical presses have the capacity of 1/2 up to 25 ton, while our hydraulic presses have the capacity of 1/2 up to 110 ton.